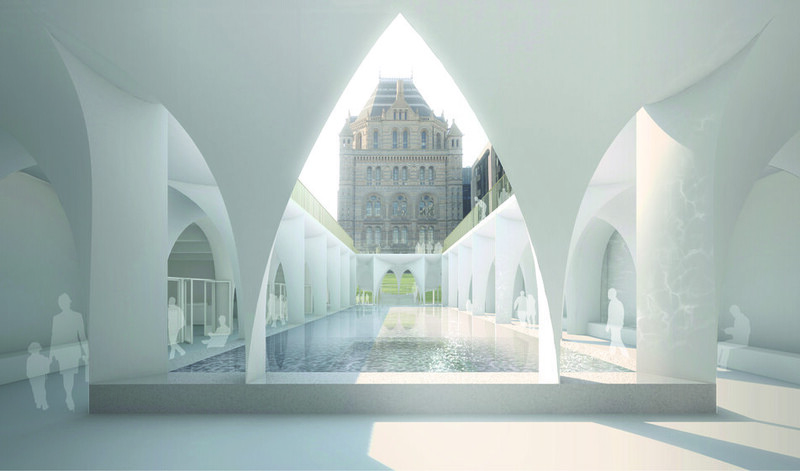 Atelier Ten are part of the grounds redevelopment project team improving access to and amenities at London’s iconic Natural History Museum, working with Níall McLaughlin Architects, landscape architects Kim Wilkie and Wilder Associates. The plans will transform the surroundings of the Grade I-listed museum and create improved access to the museum and new public gathering spaces. 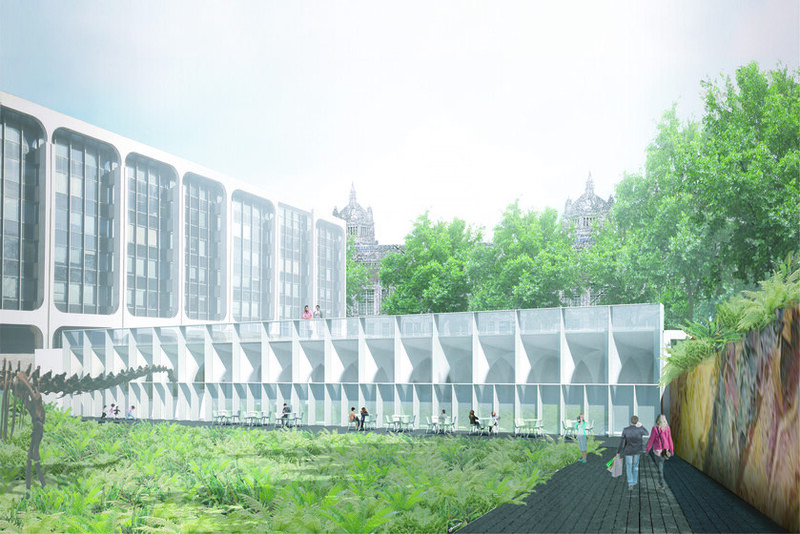 A new street level civic square, a cloistered entrance and a series of external galleries will be incorporated around the museum, along with a new access route from the Exhibition Road subway tunnel. The building, which forms part of the new civic square, has health and wellbeing and energy efficient operation at the heart of its design. Daylight and views out over the new landscape for occupants have been maximised, with a combination of shading and glare prevention measures to ensure comfort. Thermal mass, night time purging and natural ventilation driven by the stack effect minimise the requirement for any mechanical ventilation. Roof vents will be integrated into the landscaping of the terrace above. The Atelier Ten Lighting Team provided full architectural lighting design for all grounds redevelopment phases for the civic square, internally and externally, and assisted with the improved access and way-finding. The scheme will be both sympathetic to the heritage of the building while integrating the most up to date lighting and controls to maximise energy efficiency.